Qualitied Material: Made of special nylon for prevent damp weather, ripping and abrasion for longer service life. Large Capacity: Spacious main compartment holds 2 DSLR camera and 5 lenses, flashlight,and other accessorie with thicken dividers. Comfort on the Go: Airflow back system with removable belt support comfortable movement and reasonable load for shoulder and back in long trip. Cleaning kit included, and cleaning cloth sent at random color. Access fast design: Front access for Easy & Quick Access to Camera and Accessories, inner mesh cover and 2-way zippers provide double protections for gears. 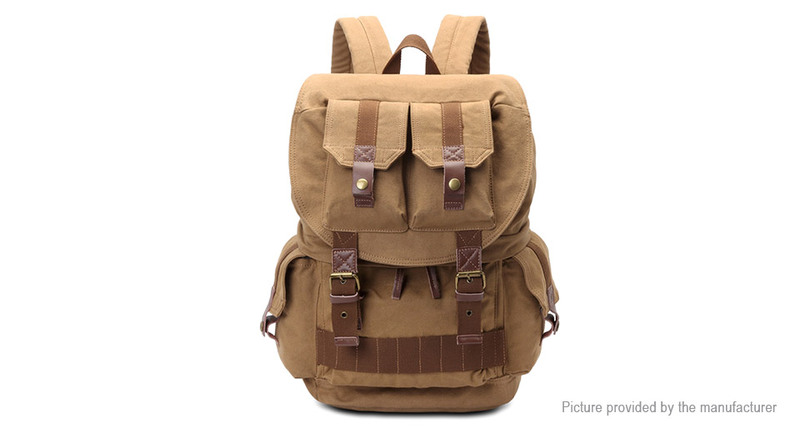 Measurements: L x W x 26*14*42cm, weight:1.05kg.This bag can be a daypack or travel bag with spacious compartment after removing padded dividers. 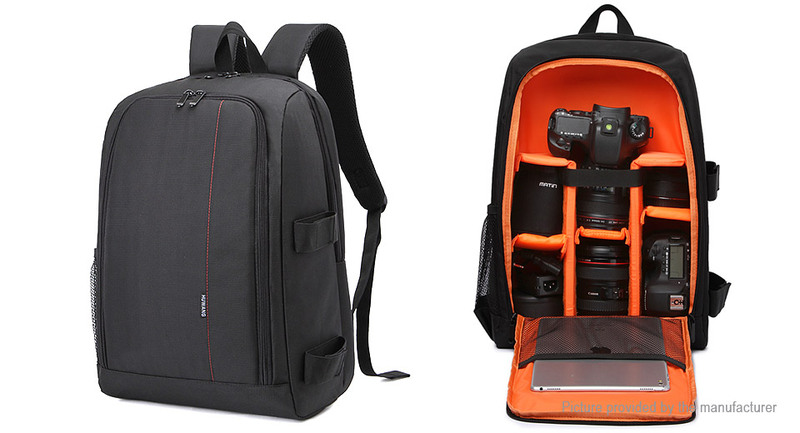 Stylish backpack compatible with most DSLR cameras. The backpack has a section for laptop up to 17"inch. Holds DSLR camera body with attached lens and 3-4 additional lenses and accessories. External mesh pocket for accessories or bottle of water. Internal mesh pockets for extra memory cards, accessories. Comfortable soft handle and shoulder straps with softened bands will make you feel comfortable even during the longest journey.